Pay via PayPal or credit card on the Join BARS page. Call Ron Glantz at (508) 454-7709 and give him your credit card information. New BARS members are always welcome at any time of the year! To those who have already paid their 2016 dues, Thank You! Donations are also always welcome, and can be remitted either via the Donate to BARS page or on the Join BARS page. For your donation of $30 dollars or more you will receive a one year’s membership in BARS, a 10% discount on all online purchases from BARS, a BARS bumper sticker, a BARS safety whistle, and our monthly e-newsletter. 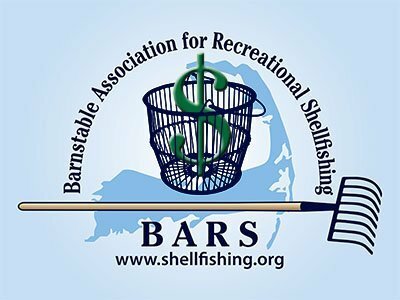 When you support BARS, you’ll not only be helping our shellfishing environment, but we pledge to put your donation to work immediately. The membership and other items are our way of saying thank you.